Lately I’ve heard people talking about Pinterest. They talk about how many people pin projects and never get them done. I’ve had this project pinned to my browser for a couple of weeks. Yesterday, I did the first step. What is it? Click Here. Aren’t they simply DARLING?! I’m sorry. But those suitcases have got me giddy with excitement. They’re so pretty! 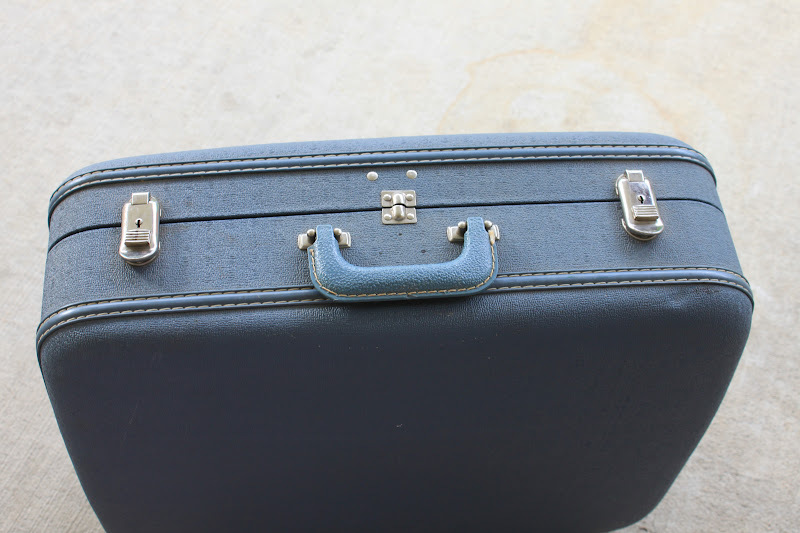 (Do realize this project is quite random and simply a creative outlet to expel stress or headaches, therefore the fact that I have no room or need for an old vintage suitcase is not taken into consideration.) I also am getting really irritated with that pin on my browser. There are too many links up there, so I’m going to go ahead and do this so I can take that link off. To become a pretty suitcase that will hold out of season clothes, linens, and..stuff, that is currently being stored in cardboard boxes. I will report my progress to you, that way I will be accountable and actually get this done. Wish me luck? And if you want, try it out with me! 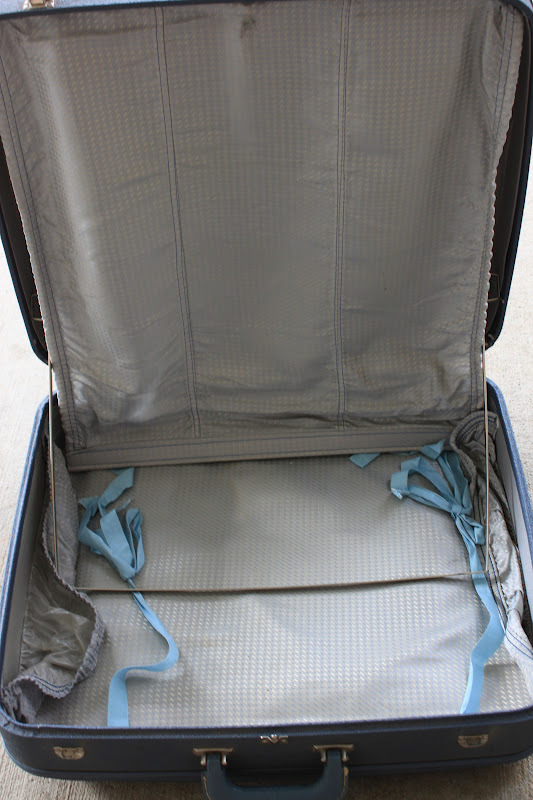 Today’s step is cleaning the suitcase. Seriously go check out this tutorial. 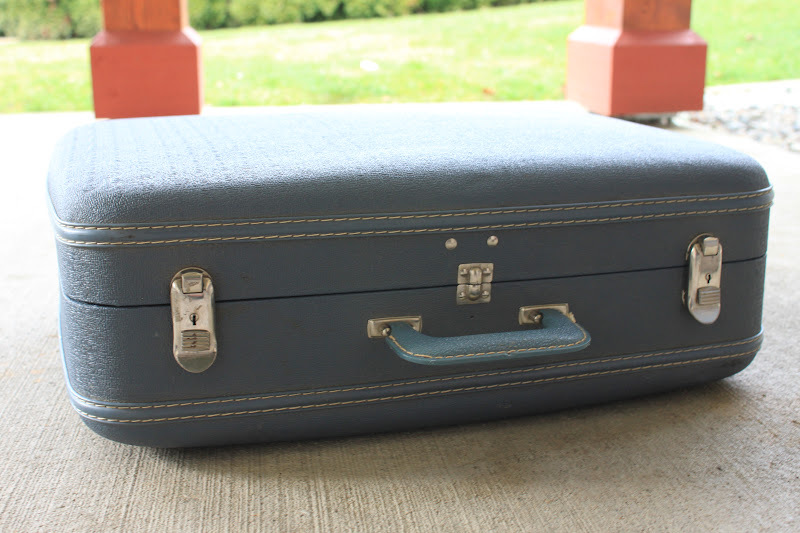 Even if you’re not interested in buying a suitcase that you don’t need just to make it pretty, it’s eye candy. Link. 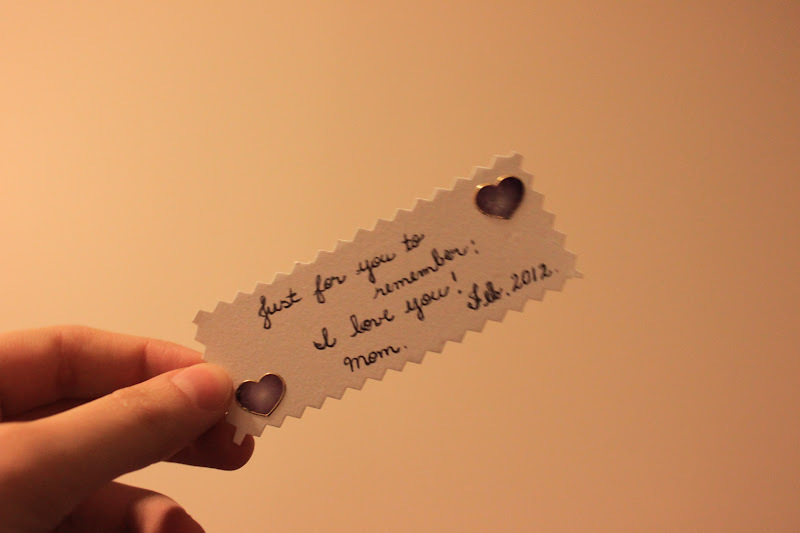 That was such a sweet note from your mother! How lovely. I am just catching up with your blog after a few days, and I saw what you did with the suitcase. BRAVO! I love the pattern, and I can't wait to go read how you did it! I will be among those living vicariously through your projects as I lack both the crafty gene and the time/energy. The suitcases are adorable and you have very practical intentions for yours! Can't wait to see how it turns out. I've always thought so. She tried to pass that on to me…but I'm afraid I might be able to write as in put words together, but the penmanship is a lost cause. Thank you for the good luck. And I'm sure you could do it! If I can, the whole world can! Glad you're going to give it a go! Tell me how it works out for you? I love old suitcases to be honest. I'm loving this project. And yes, Valentines from mother are the best! That is incredibly sweet! And your mother has beautiful penmanship:) As I have no artistic talent, I will live vicariously through your projects. Good luck! That is just about the cutest thing I've ever seen! I have a perfect suitcase that I'm going to add fabric. Thanks for sharing the tutorial. Sweetest – I love Valentines from Mom! & Great project! I saw another cool one using old suitcases where you use them as dresser drawers – interesting! I have made a couple recipes from Pinterest.